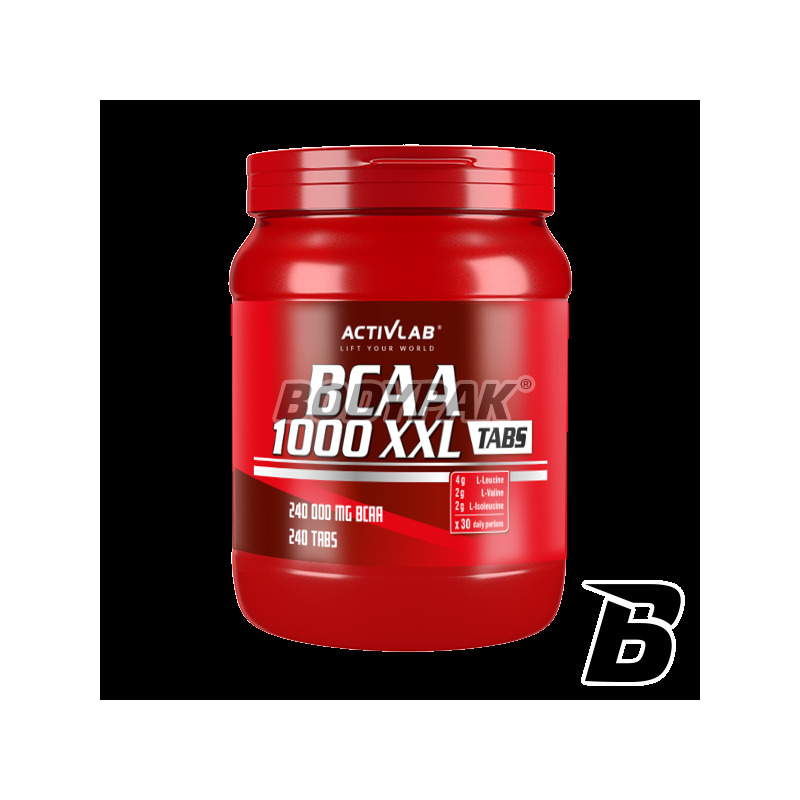 Amino AcidsActivlab BCAA 1000 XXL - 240 tabl. 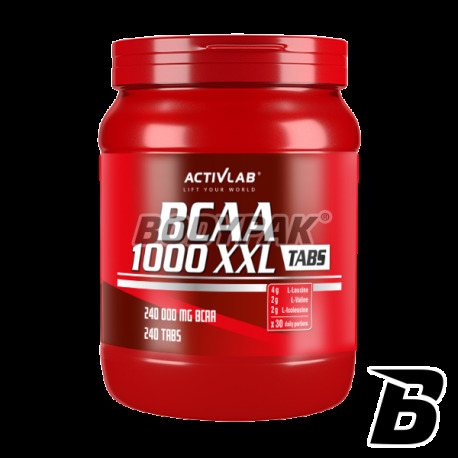 Activlab BCAA 1000 XXL is a free, branched chain amino acids: L-Leucine, L-isoleucine, L-valine balanced in perfect proportions. Their main function is to limit catabolic processes in the body leading to a reduction in muscle tissue. This is due to the specific properties of these amino acids, which decrease protein breakdown at the same time increase their regeneration. Branched chain amino acids that facilitate the increase muscle mass and strength, help in the reduction of fatty tissue and perform important functions of energy management in the body. Additionally, they prevent fatigue and over at the same time shorten recovery time. Take 1 tablet in the morning 40 minutes before a meal, 2 tablets before training and 2 tablets after training and 1 tablet before bedtime. On average, 1 tablet per 10kg body weight in 4 divided doses. Ingredients: L-leucine, L-isoleucine, L-valine, bulking agent - microcrystalline cellulose.